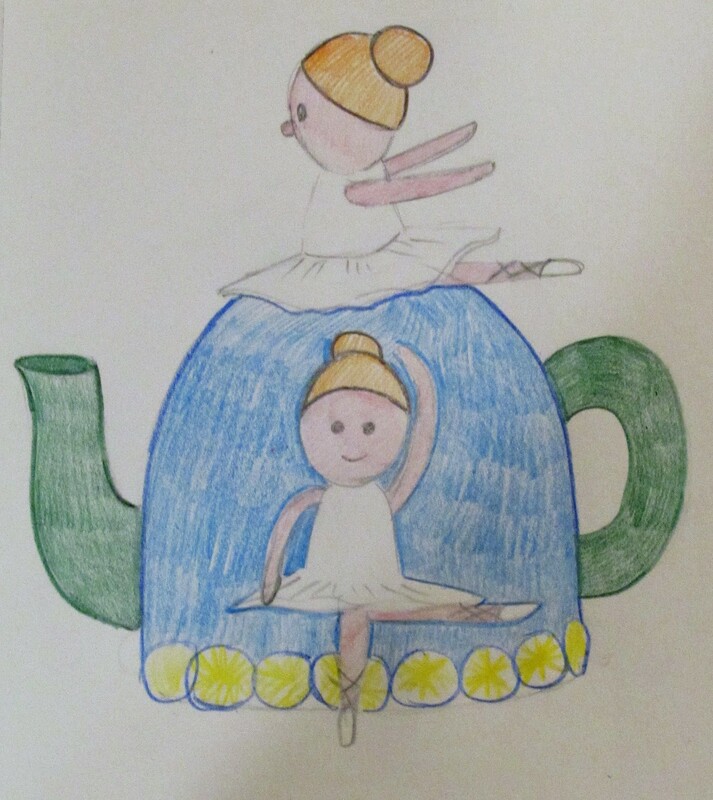 Ballerina Tea Cosy is a cute tea cosy with three little girls practising their ballet dancing. The Ballerina Tea Cosy was inspired by little girls who love ballet and tutus. The tea cosy itself has three little girl dancing about it. You could make the girl and their tutu's in any colour to make them look like ballerinas you know. The main cosy I designed in Stylecraft Duck Egg, it's such a lovely shade of blue that's not overpowering as so not to distract from the ballerinas. I liked blue as well because it made me think of swan lake, and the prima-ballerina on the top, is performing a swan like pose. Around the bottom of the cosy it's edged with a lovely little flower like border, again echoing back to the lake theme. It's an interesting stitch called 'Dandelion stitch' or sometimes called 'Flowers in a row'. It look fantastic, and creates a wonderful edging.